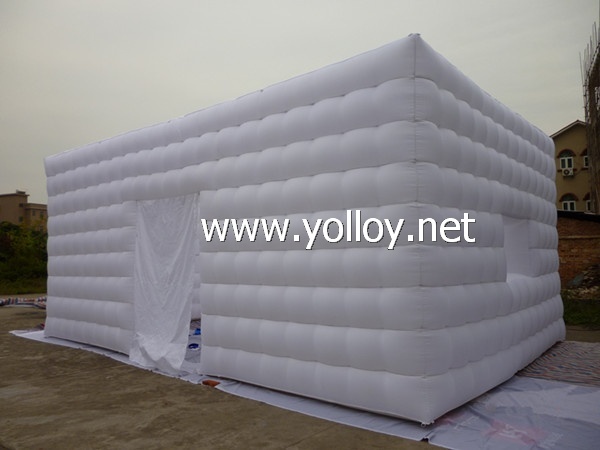 The Air Inflatables inflatable building can be eset up in few minutes. It is light weight, rapid deployed inflatable structure which perfectly suited to most industrial uses. They are also ideal for trade shows, car race meetings and event shows and other similar events. We double stitching everywhere.We engineer our inflatable buildings and emergency shelters in order to give our customers the highest quality at the most competitive prices. Customized can be acceptable.If any special requirement,welcome here.